The trouble with many ski resorts is that there’s little else to do for families who don’t want to ski all day. And then there’s the à la carte pricing, which can become cost-prohibitive for other on- and off-mountain activities. Both new and veteran ski families will delight in Smuggler’s Notch. 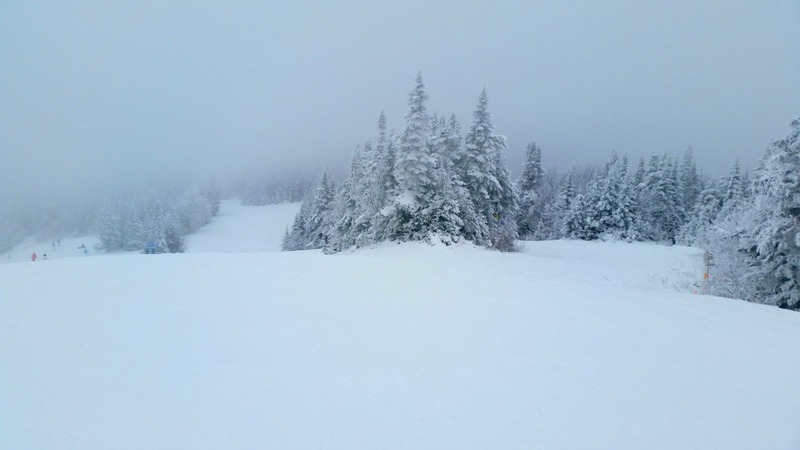 This Vermont ski resort has a more inclusive pricing structure and offers something for everyone. 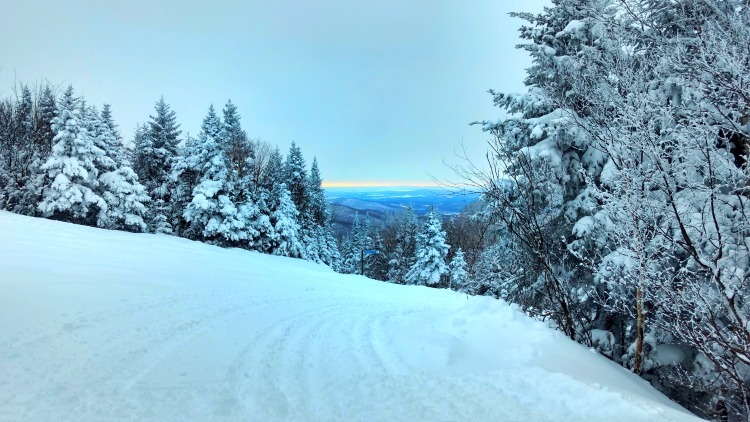 Here, Indulgent TravelingMom Andrea Traynor highlights 7 things to do at Smuggler’s Notch in winter. Take a ski or snowboard lesson. Use the kid-friendly chair lifts. Do a Cat Trax tour to the summit. Participate in free activities — every day. 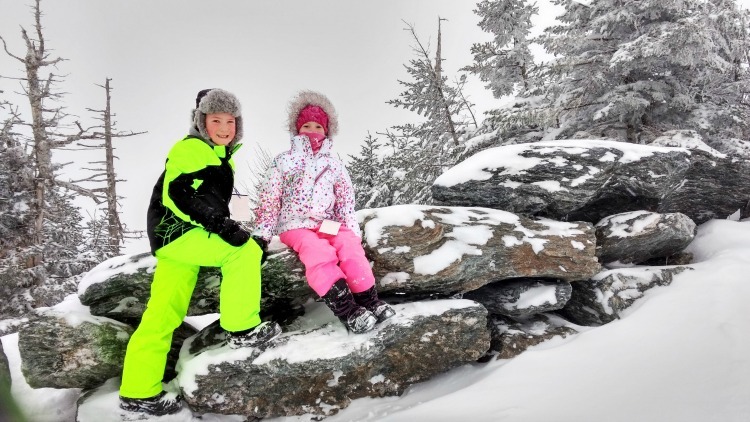 With some of the best snowfall in the east, there’s more to do at this family-friendly resort than you can possibly accomplish in just one visit. 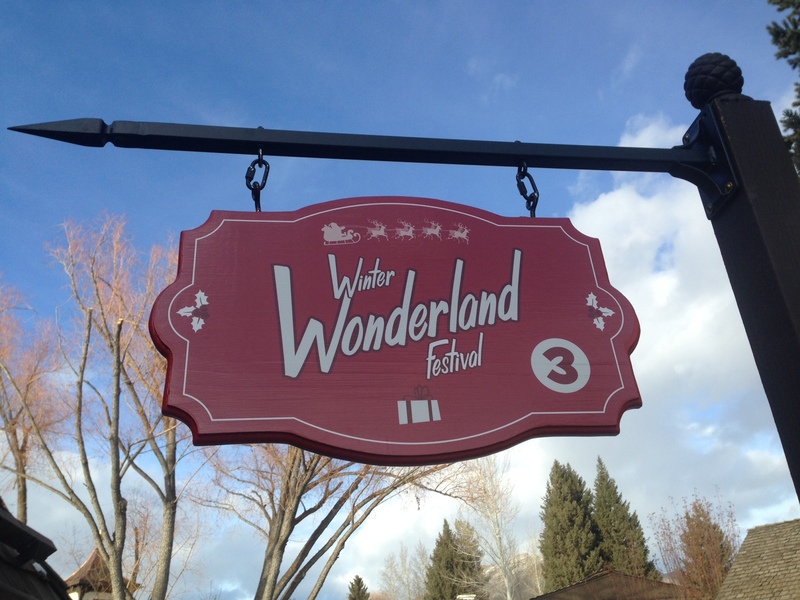 (We’re already planning next year’s stay for this very reason!) 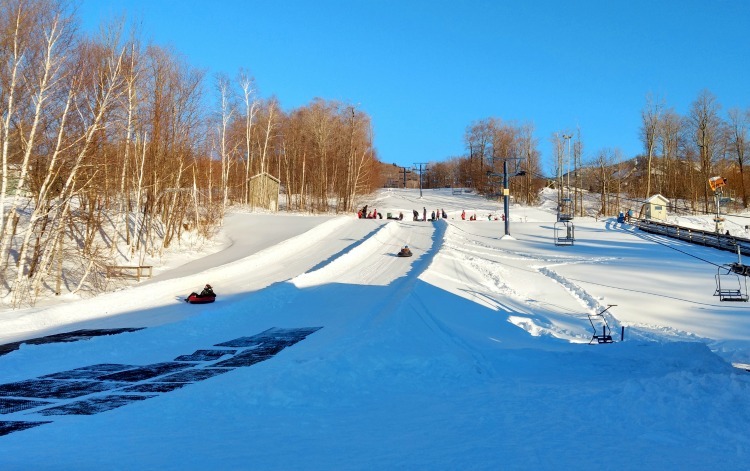 Smugg’s is open for winter fun from early December through early April each year, and has some superb packages to help families save. 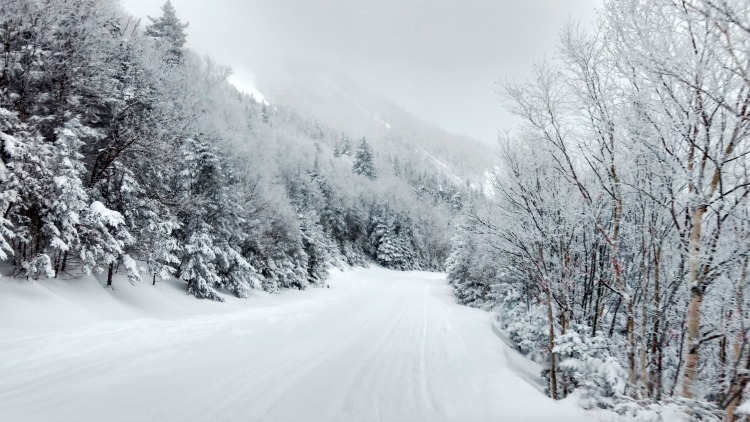 Once you’re there, here are 7 things to do at Smuggler’s Notch in winter. 1. Take a Ski or Snowboard Lesson. 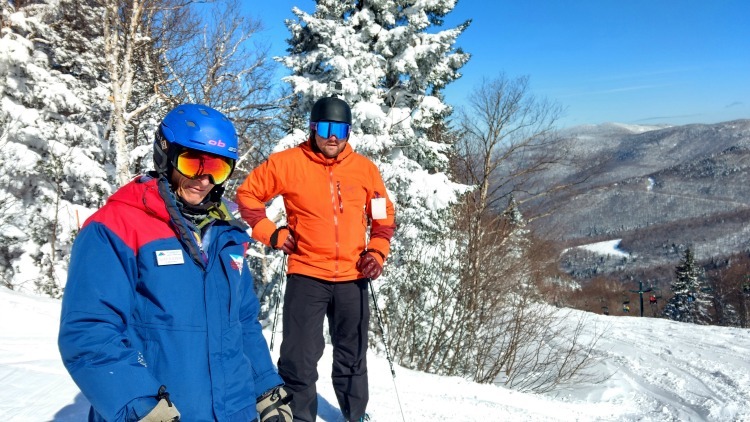 Our package at Smuggler’s Notch included daily two-hour lessons for my family, and, yes, that included my husband and me! Our kids adored their instructors and even started to learn how to get on and off the chair lifts themselves. We took advantage of the included lessons and managed to score the same instructor three days in a row, which meant we had someone who really understood our skills and needs from one day to the next. Smugg’s is such an awesome place to learn because there are three mountains here, one of which is just for beginners and two that are progressively more challenging. 2. Use the Kid-Friendly Chair Lifts. On Morse Mountain — that beginner-friendly one I referenced above — there are two chair lifts that are lower to the ground and move at a slower-than-average pace. So it’s much easier for kids and newbies. 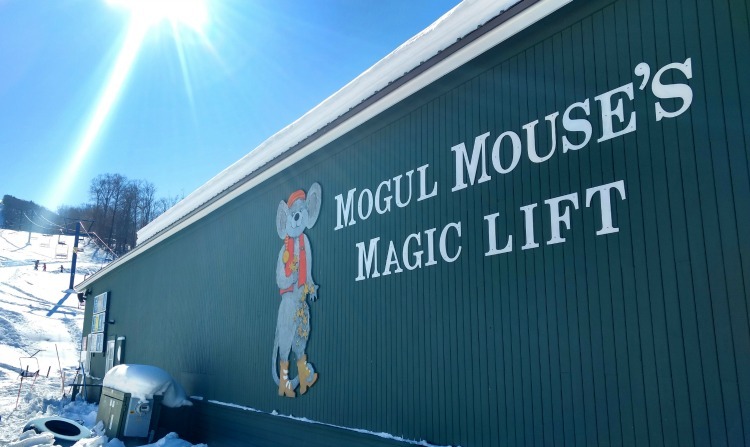 Located just beside the magic carpet, the Mogul Mouse’s Magic Lift take you nearly to the top. If you take Sam’s Run down to the Morse Highland’s Lift, it’s also a slower ride and gives you access to a small terrain park and some really lovely, easy trails. 3. Do a Cat Trax Tour to the Summit. This was a fantastic tour! It’s not included in any of the packages, but if you want to get to the top of Madonna Mountain’s 3,640-foot summit without having to ski down, this is the way to do it. A specially designed groomer can accommodate up to 12 people for the ride. TravelingMom Tip: On Thursdays, the Cat goes out during the weekly fireworks for a unique vantage point. The four seats at the front are definitely the best. And if you ask really nicely, the Cat driver might just let you and a small child up front for the ride back down. If there’s been a lot of snowfall during your stay, he may even groom the trail during the tour, which is a super cool thing to watch. 4. Watch the Weekly Fireworks. 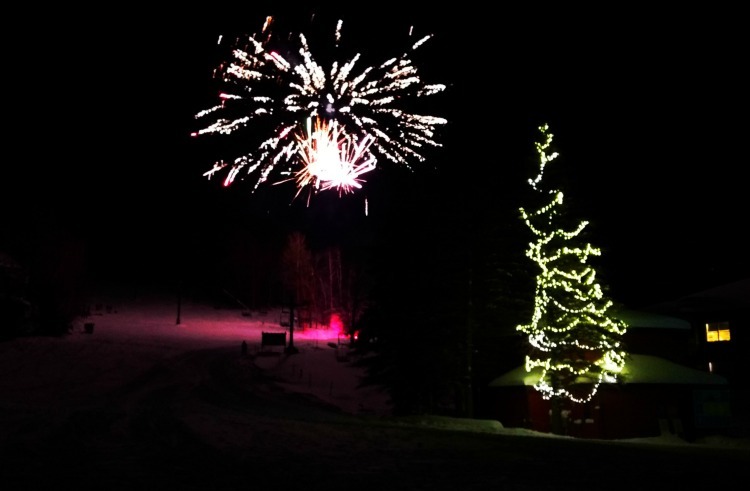 Every Thursday evening during the ski season at Smugg’s, there’s a Torchlight Parade to watch from the base of Morse Mountain, near the gazebo. The quick burst of fireworks at eight o’clock sharp mark the start of the parade. Then, ski school staff make their way down the mountain with a torch in each hand. Once they’re at the base, the fireworks show begins. And this is not simply a two-minute show with a few pops and bangs. It’s a 10- to 15-minute long fireworks spectacular that’s a must if you’re visiting midweek. 5. Take Your Kids Snowmobiling. This is another add-on activity, but one that’s perfect for kids who have never been on a snowmobile before. The minimum age is five years old. They ride with you, either sitting in the “back seat” or, like our kids did, in front between your legs. It’s a pretty easy trail with few tight turns or surprises, so it’s ideal for first-time drivers, too. It was neat to stop and hear about how Smuggler’s Notch got its name (think Prohibition), and to have the opportunity to really let the slide rip on some of the wide straights. Such a blast! Ben & Jerry’s — this brand is actually from Vermont, and we loved trying our first-ever scoops of this heavenly ice cream. Hearth & Candle — billed as five-star dining with one-star dress code, this was our favourite restaurant. 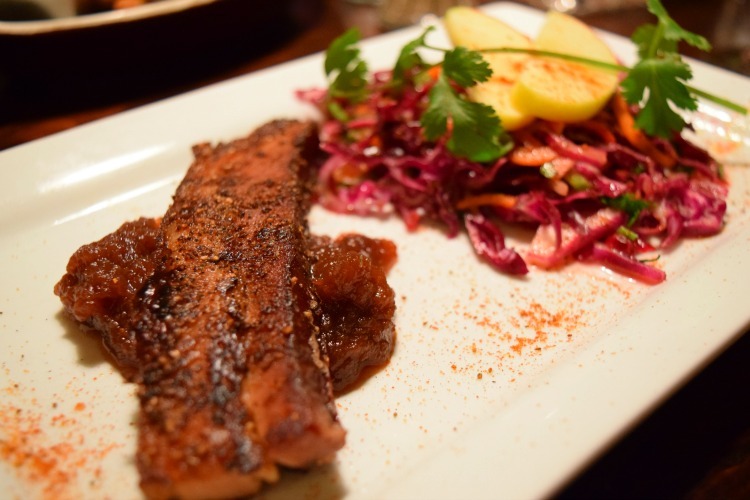 The peppered pork belly confit was pure indulgence, and I don’t know what kind of magic they sprinkle on the Brussels sprouts, but wow. Riga-Bello’s Pizzeria — located in the same building as Ben & Jerry’s, it’s quick, easy and affordable. Morse Mountain Grille — the menu can be hit and miss, but the French onion soup and burgers were fab. I strongly recommend the Girl Guide hot chocolate if you want hot chocolate with a kick (a strong alcoholic kick, that is). In your condo — one of the best parts of staying at Smugg’s is that you’re in a condo that’s as comfortable as home. We stayed in the North Hill Community Eagles condos, and ate there a lot to save money. 7. Participate in Free Activities — Every Day. Tubing. Hot chocolate meetups. Winter carnival day. Arts and crafts. Family karaoke. Sock puppet-making. Nature walks. Bonfires. Scavenger hunts. Dance parties. They’re all part of your Smugg’s Pass when you stay onsite at Smuggler’s Notch. How fun is that? If you drive, be sure to pick up groceries before you arrive at Smuggler’s Notch. It’s cheaper to shop in the outskirts than in the onsite Country Store. Flying in? You can ask your shuttle driver to make a grocery pit-stop in Burlington (for about $50 extra in shuttle fees). Gringa TravelingMom agrees that winter activities at Smugg’s rock. And while you’re in Vermont, be sure to grab some nectar of the gods — maple syrup, that is. The state is full of the stuff! Visit during the Maple Syrup Festival, or just drive down any main road to look for sugar shacks. 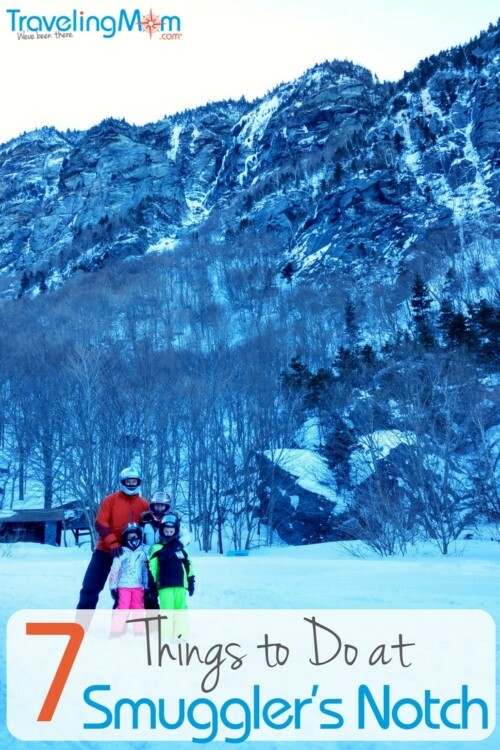 What are your favorite things to do at Smuggler’s Notch ? 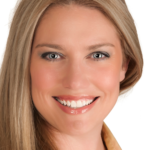 Andrea Traynor is mom to The K Man (8) and Miss Q (closing in on 6), and a wife to Big B—but also married to her blog and online community. After spending her 20s travelling solo, she’s not letting motherhood get in the way of world exploration. Andrea spends every spare dime on family jaunts, girlfriend getaways and pushing her physical limits—like that time she went to Ibiza at 41 years old. 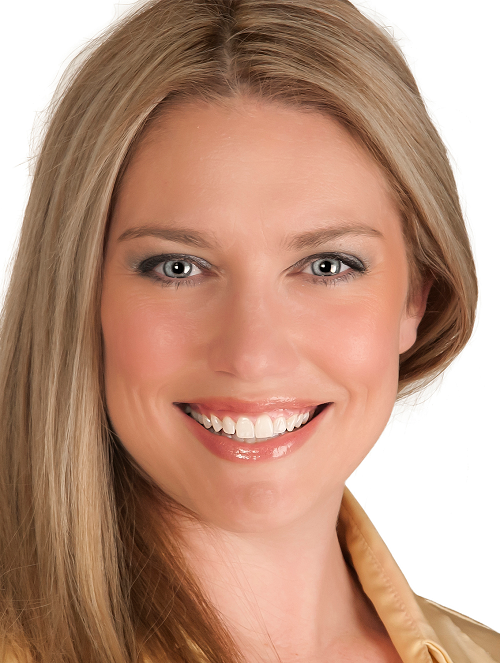 Indulgence is Andrea’s middle name and she never shies away from splurges or fabulous adventures that help amp up any travel experience. What an amazing family trip location! So many great activities to do. Sounds amazing. Our family would so love a holiday like this! Thanks for sharing. Kid-friendly chair lifts sounds amazing. Getting 3 kids on a chair lift is not easy!